The aim of the training is to provide candidates with up-to-date information about managing severe allergies in schools and early years settings. With particular emphasis on allergen avoidance, early recognistion of symptoms and crisis management. 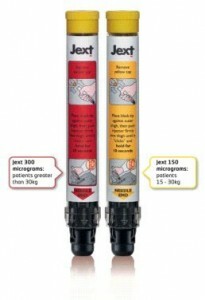 Anaphylaxis Only – This course is 45-60 minutes in length, consisting of theory and practical elements, using trainer auto injectors (the training devices do not contain adrenaline or have needles in them). The course is suitable for all school and early years staff, parents, carers, nursery staff, sports centres and Allergic individuals. A certificate of competence is provided to candidates at the end the course. Courses can be run at our premises or at a clients premises to reduce the amount of time members of staff have to be away from work. Cardiopulmonary Resuscitation (CPR) training can also be added to the Anaphylaxis course at an additional cost. Call us on 0151 207 0081 for details of price and course availability.